Growing up on a two-acre lot in Oakbrook, Illinois, a suburb of Chicago, Kate Sutton started riding at age nine and saved up to buy her first horse at 13. "A couple years later, I started teaching children in the area," she says. "Some of them were special-needs kids." When Sutton came west to study psychology and special ed at UC Santa Cruz, she volunteered for a therapeutic riding program. In seven years as a special-ed teacher in Santa Cruz schools, she made riding part of the curriculum. 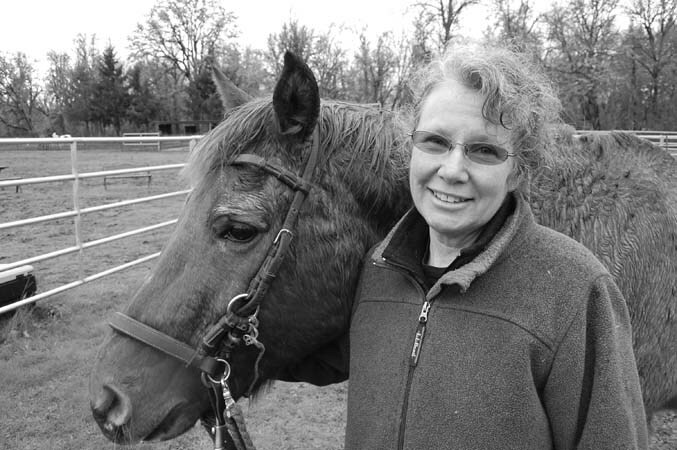 "I found it more effective with the children than work in the classroom," says Sutton, who left the schools in 1991 to found the Soaring Spirit Therapeutic Equestrian Center. "Kids don't realize they're doing strenuous physical therapy or speech therapy because they're having so much fun." Sutton moved Soaring Spirit from California to 53 acres of pasture and woodland east of Creswell in 2007 and resumed operation in 2009. In addition to its therapeutic program for kids and adults with physical and developmental disabilities, the center offers natural horsemanship instruction for all children and adults. A non-profit organization, it thrives on volunteer help and donations. Learn more at soaringspiritcenter.org.